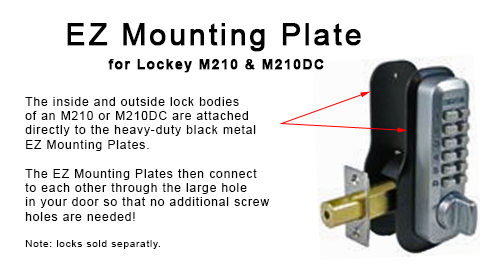 EZ Metal Mounting Plates are heavy metal plates that are used to connect the inside and outside M210 or M210DC lock bodies together through the large bore hole so that you don't have to drill any new holes through your door. Since it is made of metal, it also reinforces your door. Requires a standard door prep, which means the door must have a 2-1/8" diameter hole where the existing door knob or lock is installed. Comes as a set of 2 heavy, black metal plates and special connecting screws. 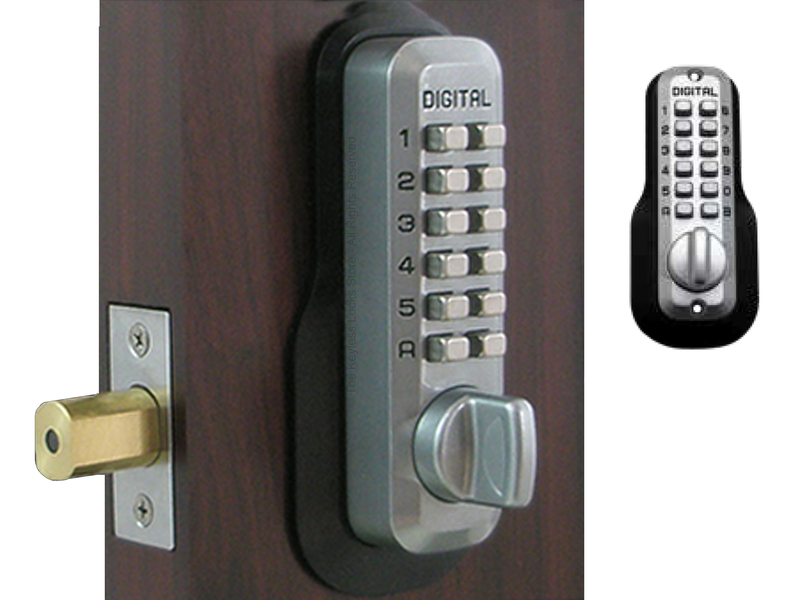 Is not compatible with any other Lockey models. 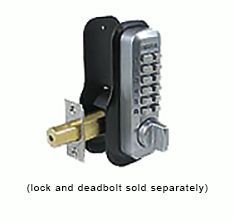 Only works with M210 or M210DC Home Deadbolt locks. First, attach the outside body of your M210 or M210DC to the outside EZ Mounting Plate. Next, slide the outside EZ Mounting Plate (with your lock attached) through the large hole in your door. Then, put the inside EZ Mounting Plate on the inside surface of of your door, positioning your trim plate, deadbolt, spindle, and guide pin as shown in the instructions. Next, insert the screws for the inside EZ Plate through the large hole and into the outside EZ Mounting Plate. Finally, attach the inside body of your lock to the inside EZ Mounting Plate. 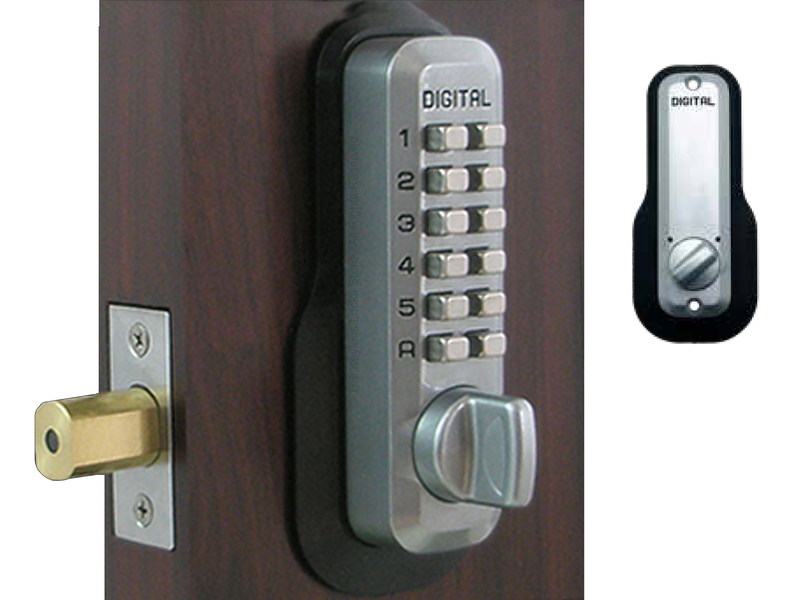 Your lock is then installed and ready to be used. EZ Mounting Plate Installation Instructions.